The bandhgala has evolved extensively over the centuries to find a place in your wardrobe. 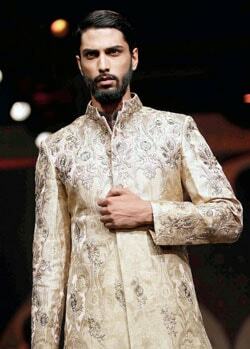 Designer Raghavendra Rathore speaks on the perfect way to don these threads of royalty. There's a lot of experimentation being done with the bandhgala, with designers giving it their own spin with colours, textures, cuts and styles to suit different tastes. It is a little-known fact that the angrakha is the predecessor of the original bandhgala. The unstructured angrakha was a court outfit that a person could wrap comfortably around himself, offering flexible ease with the knots and ties appropriate for wearing in the various principalities of India. The structured British uniform jackets brought in a considerable pattern change to the angrakha, giving it a new shape, a brisker silhouette and, most importantly, due importance to the pant because of its short jacket style appearance - namely, the bandhgala. This quickly became a popular formal and semi-formal uniform across Rajasthan, especially because of the habitual sport of Polo. The bandhgala's ability to combine easily with Jodhpuri breeches, the pant and other lowers made it easily adoptable by those who attended formal and semi-formal events and intermingled with British officers. 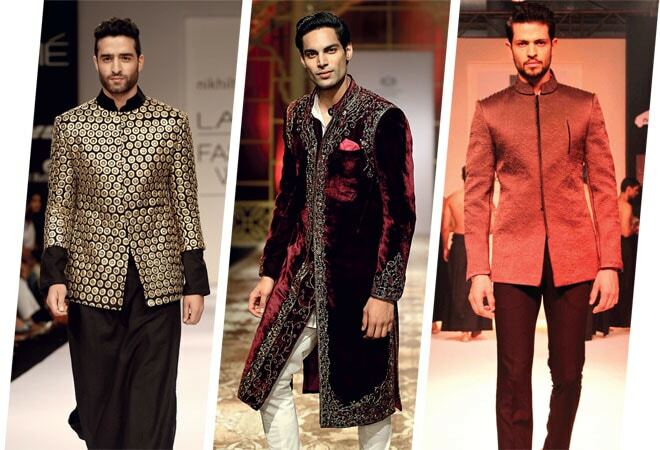 This provided a sartorial platform to fulfill their own interpretation of Indo-Western style, making it a valuable addition to the Indian wardrobe. fabrics evolved to acquire a firmer feel, making it more amenable to being structured into a super-tailored look with the technical know-how of shoulder pads, interlinings and various other ingredients borrowed from the Western jacket. 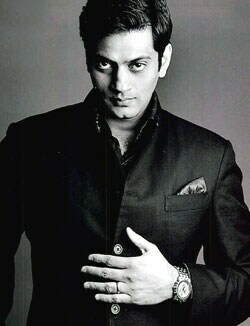 And in this manner, the classic bandhgala jacket was born. The main difference between the pedigree bandhgala jacket, which we cut in India, and the ones made by Italian designers is that the former is mostly custom-made and rarely bought off the shelf. In other words, a good bandhgala needs to be cut precisely to suit every contour of the wearer's body, and not indulge in generalisations like a Western jacket (usually bought on the basis of chest measurements only). The fit is also fairly different because Western jackets have comfortable armholes whereas the traditional bandhgala jacket is cut close to body measurements, giving it a unique fit rarely seen in an off-the-shelf purchase. With the exception of those seen on Savile Row, of course. 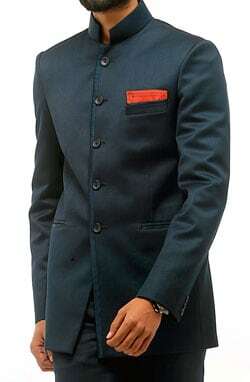 The modernisation of the bandhgala jacket, however, has a sinister side too. The freedom to offer a 100 versions of the outfit can lead to certain misconstrued designs being passed off as the classic bandhgala jacket. One must always know that the more classic you keep the look, the more it's likely to enhance your character. Distractions with dull design details can actually take away a lot from your character, and classify you into a completely different category. Much of this is seen on television dance programmes, where participants - eager to grab the attention of the judges concerned - wear bandhgala jackets that dwell on gaudy details, little knowing that they are demolishing the very idea of heritage from a piece of history. The flag bearers for the bandhgala, instead, should be a select few who carry the look exactly in the manner intended. Sanjay Kapoor, Bal Scindia, Saif Ali Khan and Tikka Shatrujeet Singh figure among the personalities who have never managed to go wrong in the way they combined their personal style with this classic outfit. The ability to combine the bandhgala with the choice of your clothing, including denims , completely depends on your ability to style yourself as per your character. The final look should involve a few important steps - contrast a dark bandhgala jacket with the shirt inside, keep the first two to three buttons open, and make sure the pocket scarf is well chosen. Try combining dark formal denims with clever accessories and, lastly, make sure the bandhgala jacket is custom-made to your body measurements. And when you finally step out that day, be nothing short of the perfect gentleman. You owe it to the threads you wear.